“Brilliant” performance by boys’ choir brings tears to the eyes of care home residents | News by Wales Express News, People Before Profit! 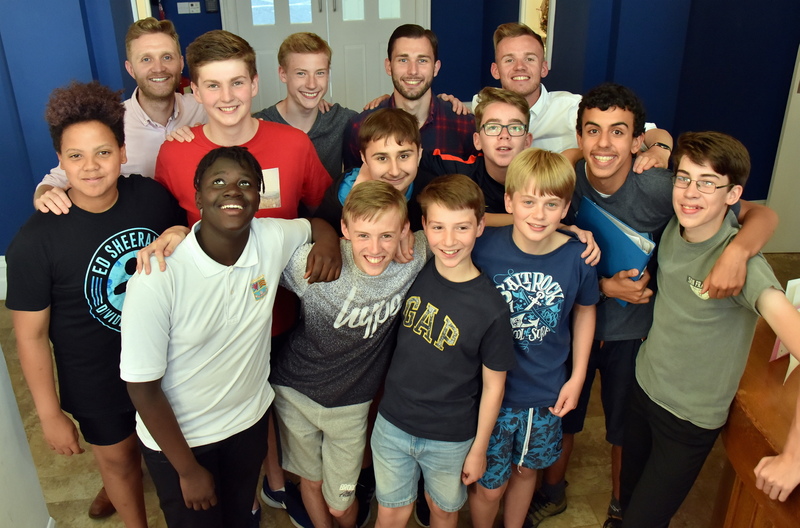 Ten members of an acclaimed boys’ choir delivered a moving mid-summer concert which brought tears to the eyes of staff and elderly residents at a care home. The musical evening organised by The Aloud charity and Care Forum Wales was given a resounding verdict of ‘brilliant’ from residents of Springbank Care Home, College Road, Barry, who clapped and cheered emotionally as the hour long concert came to a finale. The award-winning charity runs 14 Only Boys Aloud choirs across Wales as well as the Only Kids Aloud initiative. The Boys Aloud members who stole the show. Alexandra Kelleher, operations manager with the Care Inn group which runs Springbank and 12 other facilities in Wales, said the memorable occasion was truly inspirational as the elderly community of Springbank joined in the singing. She said: “One of our ladies cannot talk; normally she really struggles to communicate, but she suddenly found her voice. As the boys were singing she started to sing as well. It was just wonderful to see. “Many people think that different generations find it difficult to mix but events like this show that’s not the case at all. There is no gulf between the ages when it comes to music. The boys in the choir were in their teens, while our residents vary from the late 40s to 100, but it was clear from all their faces that everyone was having a wonderful time. The event was part of a summer collaboration – called Lovely Days – between Only Boys Aloud, Care Forum Wales and Arts and Business Cymru who provided funding via their CultureStep programme. The project has seen different OBA choirs visiting care homes around the nation, singing and making friends with the residents. Chairman of Care Forum Wales, Mario Kreft, said: “We are delighted to be collaborating with this excellent, widely respected choir. The boys performed rousing anthems such as You’ll Never Walk Alone, from the musical Carousel, and Welsh favourites Calon Lân and Sosban Fach. Only Boys Aloud team captain Iori Haugen, 25, agreed emotions ran high on an evening which visibly brought people together through the power of song. The residents’ enjoyment is evident from photographs taken during the performance, with eyes bright and smiles all round. In the week before the concert, the OBA founder Tim Rhys Evans MBE, and the deputy music director, baritone Craig Yates, also visited Springbank Care Home to meet residents and talk to them about their music and charity work. Alexandra Kelleher said: “It was interesting for all of us to learn how the Aloud organisation has developed. The internationally renowned Aloud organisation first found fame on the television series Britain’s Got Talent. Only Boys Aloud has more than 200 boys, aged from 11-19 singing with 14 choirs in Wales. Iori, who captains the Cross Hands OBA branch was one of the original choir members who appeared on Britain’s Got Talent. He went on to become a professional musician, freelance conductor and singer. He said: “The television appearances gave our organisation a huge profile, but our work has carried on behind the scenes since the BGT final in which we came third. 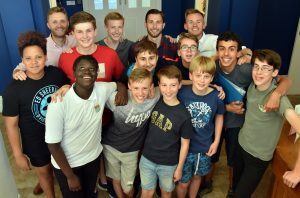 “Many of the boys can be quite shy when they join us, but seeing the reaction their singing gets from audiences like those at Springbank lifts their spirits so much and gives them a real sense of self-belief. “I saw this especially at Springbank Care home. The Cardiff choir is not the one I usually lead. But for Lovely Days it’s been all hands on deck with captains often conducting choirs they don’t normally work with. “For me as a leader the boys were not used to, it could have been quite nerve wracking. But I could tell immediately how settled and talented they were. They were natural performers who responded brilliantly to the enthusiasm of the audience around them.